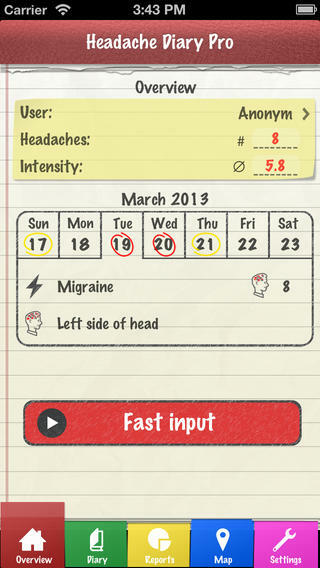 Headache Diary Pro: helps you track your headaches, symptoms, triggers, and treatments. The logs are editable. You can export your data to a PDF file. 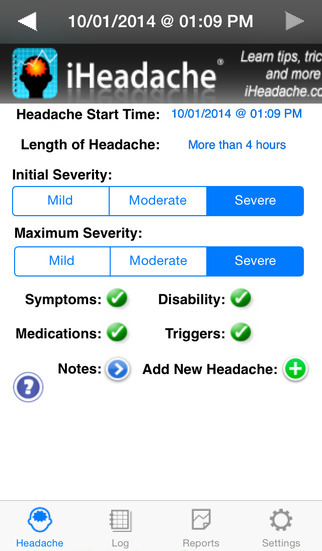 iHeadache: lets you track symptoms, headache duration, the medication you are using, number of headaches, and more. The app lets you add notes about each headache. 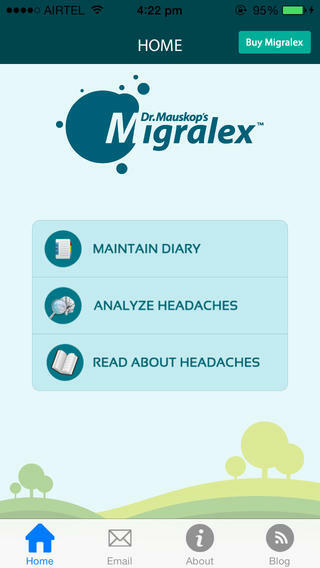 Migralex Headache Relief Diary: helps you find out more about possible causes and contributing factors for your headaches. Lets you e-mail your headache diary too. 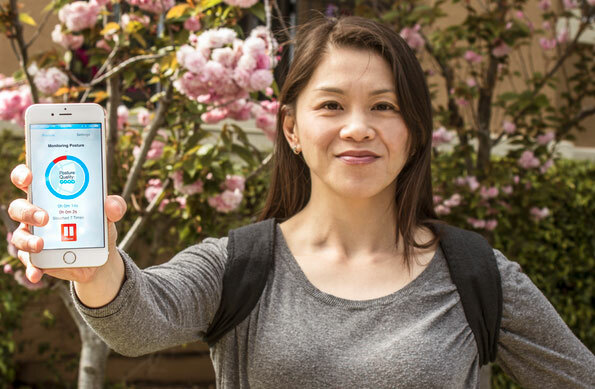 TracknShare: this app is designed to help you track chronic health symptoms. It has 5 categories set up but you can add custom items. 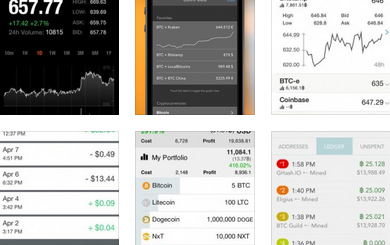 The app provides you with useful stats and graphs. 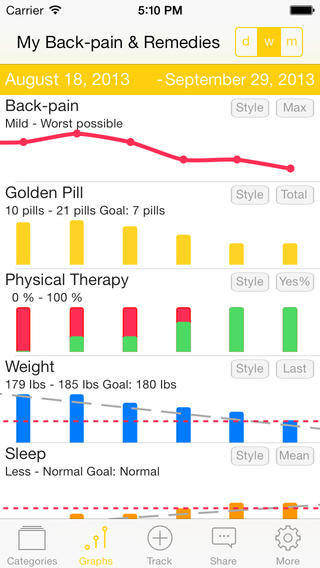 My Pain Diary: lets you track each episode, identify triggers, compare multiple conditions, and print a report for your doctor. 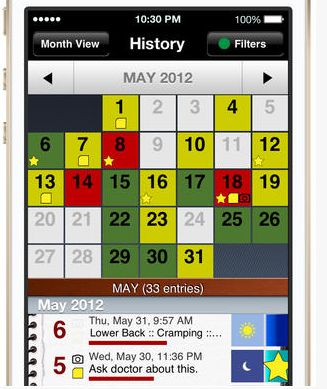 You get a color-coded calender, weather tracking, private entries, and more useful features. 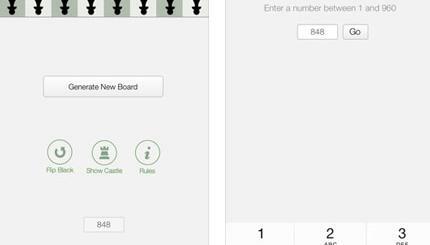 Have you found better headache diary apps for iOS? Please share them here.